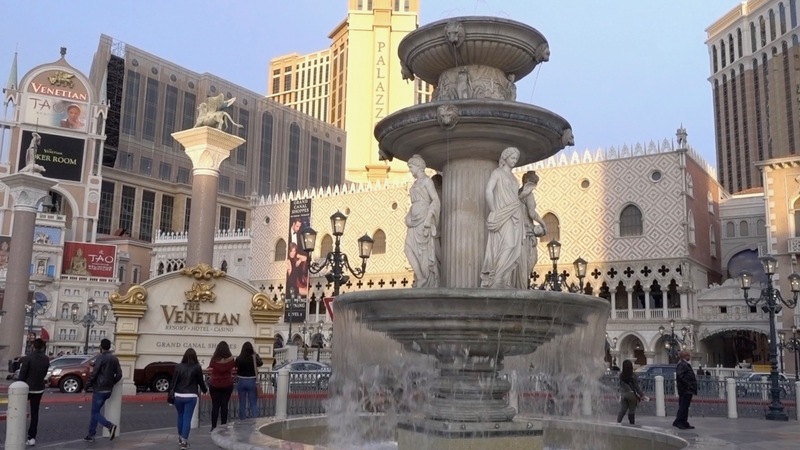 The Venetian Las Vegas is one of the only Strip hotels still offering free parking, but its resort fees are high: $45 per person per night. This is a story about Las Vegas resort and parking fees, those extra charges paid by most of the visitors to Las Vegas. Let’s say a business owner from Arizona is attending a convention in Las Vegas and he is driving. He is staying at the Wynn Las Vegas and his chosen room is $251 a night. The “resort fee” for that room is another $39 a night per person, so his add-on for the resort fee and taxes (taxes are 13.38%) is $77.81 a night, and his daily valet parking fee is another $20 a day. The total daily cost, therefore, is $348.81 a night, almost $100 more than the advertised room rate. But what the heck, says this visitor, the stay is a company expense. But what if a tourist lives in California and is on a budget contemplating a trip to Las Vegas. The tourist sees that the Flamingo Las Vegas is offering a special room rate of $55 a night for a single. Whoopee! But when the tourist goes to book online, the tourist sees a resort fee of $35 a night and taxes (on the room and the resort fee) of $12.04. Parking? That’s another $12 for 24 hours of self-parking. So the $55 a night room ends up costing $114.84 per night. Yikes! The MGM Grand has enormous parking areas. The self-parking fee for from 2 to 4 hours here is $15. So why was the room advertised at $55 a night? To stay competitive in the online reservations marketplace and also…one may assume, to fool the unwary. These days, virtually all Las Vegas casinos now have resort fees. They typically range between $32 to $45 per person per night. 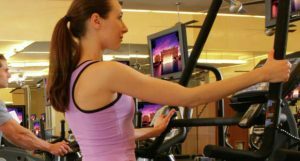 One can argue about the resort fees, saying that the services they cover such as wifi, fitness center passes or priority access to the local nightclubs, are not necessary. But most folks end up paying. Some observers have suggested that the “scam” of resort fees, taxes and parking fees NOT included in advertised casino/hotel prices should somehow be regulated, though I don’t know of any pending legislation in that regard. 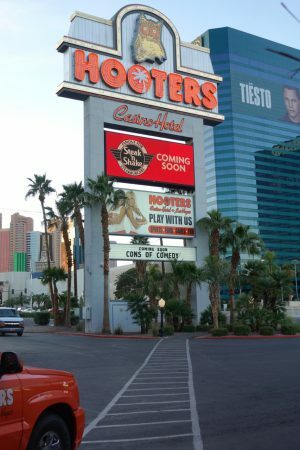 Among the near-Strip hotel/casinos offering free parking is Hooters. As for now, visitors to Las Vegas should just be ready for not-so-pleasant surprises at check-in. Typically the nearby off-strip properties such as the Rio All-Suites Hotel & Casino, The Palms Casino Resort, Gold Coast Hotel & Casino, The Orleans, Hooters Casino Hotel, Tuscany Suites & Casino and Hard Rock Hotel & Casino, along with most downtown and local casino/hotels, don’t have parking fees…yet. So how much are parking fees? Typically, they are zero for up to 60 minutes of self-parking, but some of the Las Vegas self-parking areas are so large, simply parking in a self-parking garage, then walking to a ticket office, buying a ticket and walking back to the car can take an entire 60 minutes (or longer). Note: At Caesars and MGM properties, application for credit cards linked to the properties automatically gives the holder a card providing free self-parking, a strategy used by many local Las Vegans (this writer included.) 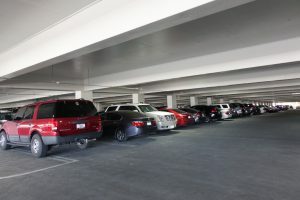 Local Las Vegans in particular “hate” the parking fees, having grown accustomed to free parking at all the properties. Enjoy Las Vegas folks. Bring money. The Hooters Hotel might have free parking, but it is hands-down the worst parking garage in the valley in terms of maintenance and design. Kudos on this report, I know that it is a topic of great interest to locals and visitors alike. I for one, applaud those casinos who have upgraded their parking lots and I don’t mind paying the fees. There is few if any free parking in other world-class cities and this is just part of the evolution of our home town. The resort fees, on the other hand, seem like a travesty to me. An example of the worst kind of bait-n-switch marketing techniques. fees and resort fees. My accounting background tells me the services provided with these fees should be absorbed as cost of doing business. The “common sense”, and, “I’m a local” sides of me scream: This is wrong! I have reduced my trips to the Strip for these reasons. And, btw, The Cosmopolitan should update their websire because I paid $13 for the 4-24 hour category last Tuesday. Thanks for getting my blood boiling on a Sunday morning. Great article as usual Diane. Very informative. Because of parking and resort, extra, fees my staycations require a lot of research. Even downtown casinos have resort fees added to room fees. We are driving an hour up to Mesquite to be reminded of how Las Vegas use to be. Thanks for the “credit card – get free parking” tip. I think the resort fees are a total scam – started with the energy crunch, but like all “taxes”, they are hard to get to go away once implemented. The items they say the resort fee is for should be just part of the benefit of staying at their hotel and absorbed into the room cost as a prior comment said. As for parking fees – ergh! On attending the INTERNATIONAL LIONS CONVENTIONND STAYING AT THE LUXOR HOTEL AND CASINOS FROM JUNE 28,TO JULY 4,2018. tHE INFORMATION SHEET HAS THE COST OF ROOMD PER NIGHT AND ALL FEE,TAXES THAT ARE EXTRAS PLUS A CHARGE FOR PARKING. Update: Wynn Las Vegas and Encore, starting July 1, will stop charging overnight guests for parking while non-hotel guests will avoid parking fees if they spend $50 or more via restaurants, game play, shops, nightclub, shows and lounges. Whoopee! Thank you, Diane!!!! All others must follow suit if they want to compete and not be left behind…. As a customer, I will patronize hotels and locations that offer free parking and other perks…. 🙂 Next is to eliminate those “resort” fees…. Fight back against resort fees. When you check in, ask them to waive the fee. Of course, they will say no. Then, when you check in your room, turn on all the facets and let the water run during your entire stay. The wasted water will cost the hotel a fortune and will far exceed the resort fee. If enough people do this, maybe then the hotels will get the point. Yes, it is retaliation but it will work with everyone does it.